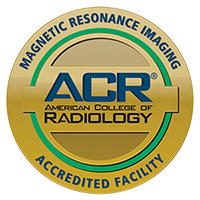 Magnetic Resonance Imaging (MRI) is a test that uses a magnetic field and radio waves to create detailed images of the body’s organs and tissues. An MRI gives your doctor a different view of the structures in the body by pinpointing problems that cannot be seen using other imaging methods. An MRI machine is a large tube shaped structure with an exam table. The part of the body that the MRI is requested for will be guided into the tube. During the exam the magnetic field will temporarily realign hydrogen atoms in your body. Radio waves then cause these aligned atoms to produce very faint signals, which are used to create cross-sectional MRI images or 3D images that may be viewed from different angles. Brain – in the diagnosis of aneurysms, disorders of the eye and inner ear, multiple sclerosis (MS), spinal injuries, stroke, and tumors. Internal Organs – liver, kidneys, spleen, pancreas, uterus, ovaries, prostate, and testicles. Bones and Joints – arthritis, damaged from traumatic or repetitive injury, disk and spine abnormalities, bone infections, and tumors of the bones and other soft tissue. 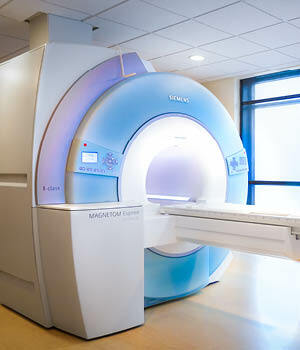 Since an MRI uses a magnetic field, the technologist performing the exam will ask you to remove all metal objects including: jewelry, hairpins, glasses, watches, wigs, dentures, hearing aids, and underwire bras. You will also need to change into a gown provided for your examination. If you have metal that is not visible, such as a pacemaker, shrapnel from bullet wounds, metal joints, cochlear implants – please let us know before you schedule your exam. After your exam your doctor will be able to review the test results. For more information and to schedule an MRI please call 541.667.3520.